Fantastic Beasts 2 has already opened today in many countries and will swiftly spread across the rest of the globe by Friday. 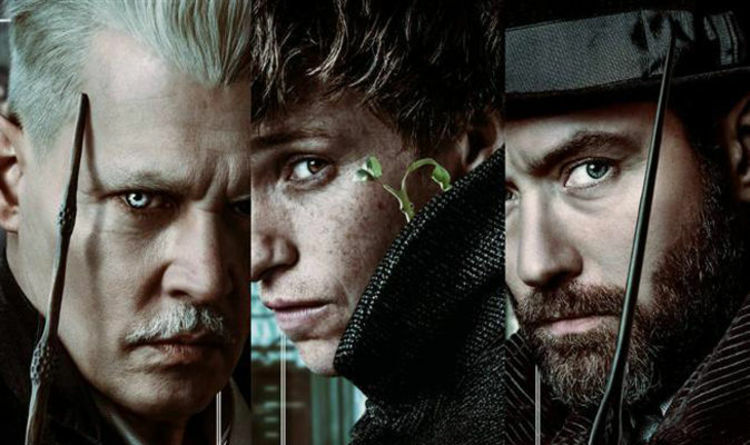 Fans already know rather a lot about the background to the story from the trailers and the larger Potterverse, which have revealed the dark days ahead in the next four movies for Dumbledore, Newt and the wizarding world. The trailers also confirmed the surprising return of Credence and it is becoming increasingly clear how important he will be for what comes next – and potentially decades later in the main Harry Potter series. The ending of the latest movie sets up some huge plotlines for all four major characters, but especially for Credence and one other iconic character. Fans will go crazy when they find out who Credence really is. Originally,many fan expected Eddie Redmayne’s Newt to be a doorway character, bringing us in to the new franchise before stepping aside for the main story of the war between Grindelwald and Dumbledore. Similarly, Ezra Miller’s Credence appeared to be an intriguing but doomed character, who tragically died at the end of the first movie. The sequel makes it very clear how central both remain to what is coming next, they are the young bloods who are being manipulated and manoeuvered by older forces. The final scenes are a chilling portent of just how dark this series will get and pack a whopping plot twist. Ever since the release of the first Fantastic Beasts movie and then the subsequent trailers and teasers for the sequel, fans have been frantically trying to work out who Credence really is. He was orphaned and left with the abusive crusading zealot Mary Lou Barebone. At the end of the movie his extraordinary power is revealed. In fact he is so powerful he survived the attack from the massed ranks of the New York aurors. The main fan theories now think he is either the grandfather of Severus Snape, a long-lost member of the LeStrange family or, rather improbably, somehow Voldemort’s father. The truth is finally revealed in a shocking moment at the end of the movie. JK Rowling has pulled out all the stops with a major plot twist that had the entire London press preview audience gasp. Yes, Credence really is important. Yes, he is closely related to one of the most iconic Harry Potter characters of all time. And no, we won’t tell you yet, however much we are dying to. But this is one plot reveal that is really worth the wait. Fantastic Beasts: The Crimes of Grindelwald is out in teh UK and US on November 16.